Today, in this article I will guide Micromax A116 Canvas HD – Rooting Procedure on with a simple steps. Are you ready to root your phone then follow the below step by step guide on Micromax A116 Canvas HD – Rooting Procedure. Disclaimer: Rooting will void your phone Warranty. This article is purely for Micromax A116 Canvas HD, applying these steps on another device may produce troubles. Don’t miss any of the steps, firstly read and understand the whole tutorial then go for the actual process. 3. Make sure you have installed CWM Recovery on your device. 4. Ensure you have backed up your important data. 5. Install USB drivers on your PC from here. Step 1: Download SU Package & SU Bin and place both the files into external SD card. Step 2: Now, you have reboot in recovery by pressing and holding Volume Up + Volume Down + Power Button and select recovery mode. In the Recovery mode, use the Volume keys to move up/down and the Power key to select a highlighted item. Step 3: Now, perform a full data wipe by selecting “wipe data/factory reset” and “wipe cache partition“ and then go to advanced from there select “wipe Dalvik Cache“. Step 6: Once you have flashed all the files, go to the main menu and from there select “reboot system now“. Superb! 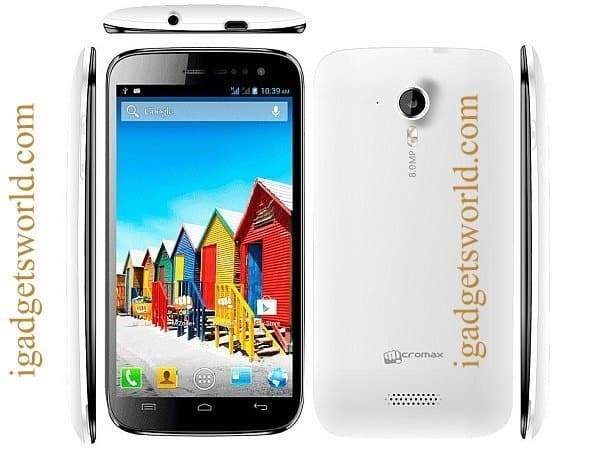 You have successfully root Micromax A116 Canvas HD. If you want to cross check that your phone is rooted or not then you can download Root Checker application and verify by yourself. if download links not working kindly comment here we will update the links ASAP! !